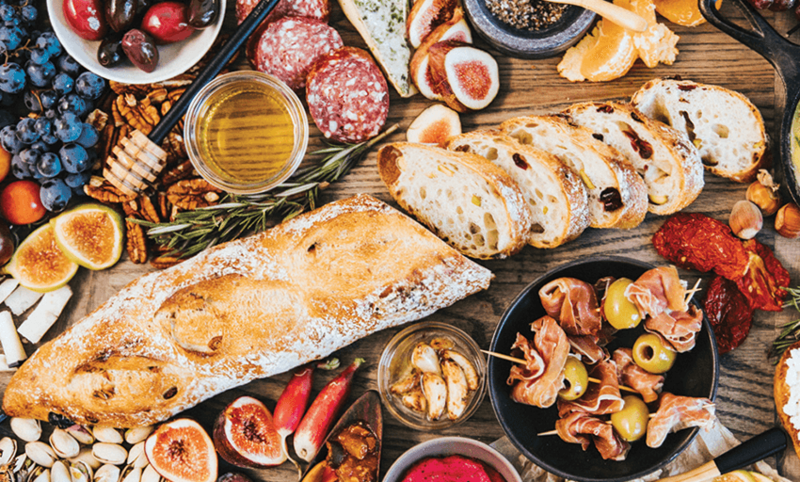 Spread Cheer this holiday season with a never ending bread board to entertain your guests. The French Baguette is a great holiday staple with both customers and ourselves! It’s baked fresh daily from scratch so it’s always soft to pair with your favourite toppings. Didn’t finish the whole loaf? Thinly sliced and toasted, extra French Baguette from yesterday’s party makes an excellent crostini base. A clear winner that was gobbled up the quickest when we tested these recipes was the Spinach Dip French Baguette Log, a surprisingly easy warm appie that will be a hit with your guests! 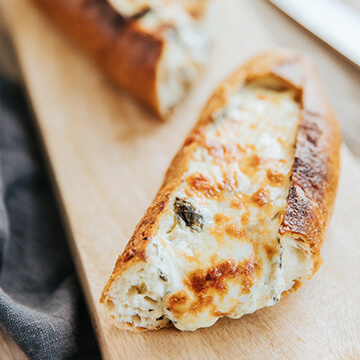 Hollow out a French Baguette and fill with your go-to spinach dip recipe (or try our recipe!) Top with cheese and warm it up in the oven for up to ten minutes, slice and serve. 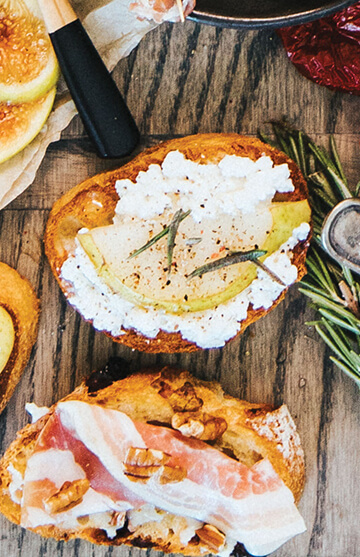 We tested some French Baguette toppings for our holiday photo shoot this year and a surprising favourite was ricotta, pear and rosemary. As an alternative to rosemary, drizzling honey on top of the crostini adds a touch of sweetness. It wasn’t hard to get everyone to try this crostini! The pecans added a nice crunch while the brie balanced out some of the saltiness from the prosciutto. Heading to a holiday gathering? 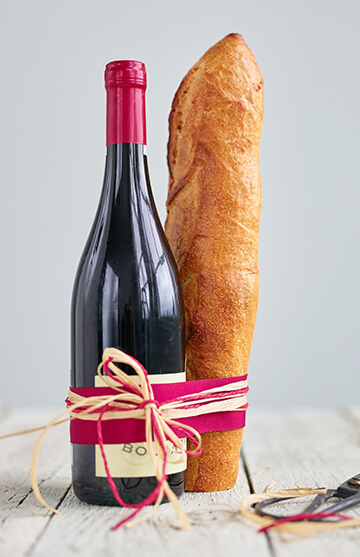 Paired with a bottle of wine, our French Baguette makes a great hostess gift! For a twist on these recipes, try them with our Cranberry & Pistachio French Baguette, only available during the holiday season. Find your local bakery to pick up a freshly baked baguette today.